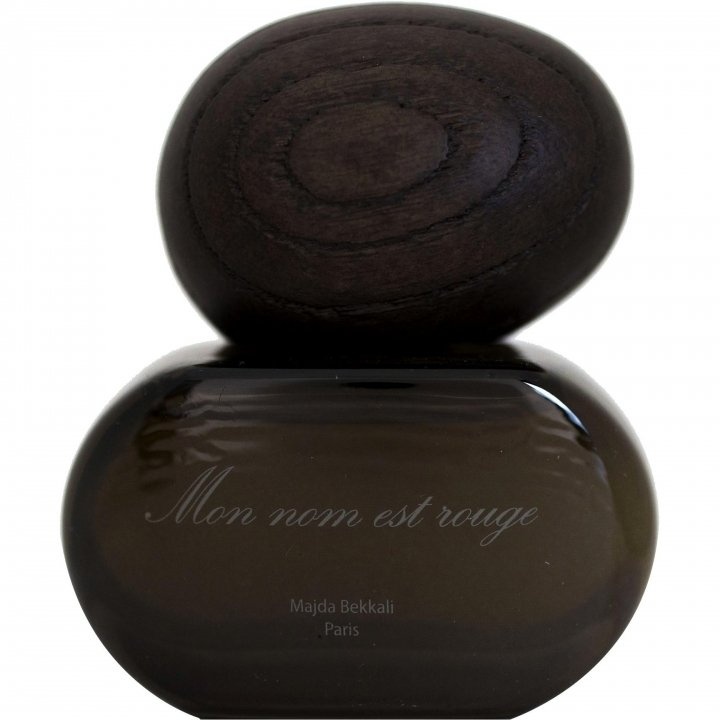 Mon nom est rouge is a popular perfume by Majda Bekkali for women and men and was released in 2012. The scent is spicy-floral. The longevity is above-average. It is still in production. "Mon nom est rouge" is a very complex, rather special composition. Perfumer Cécile Zarokian created a powerful and persistent fragrances which starts like a volcanic eruption (pepper, lemon, aldehydes, elemi, metallic notes). Characterized as a "spiced rose" by Madja Bekkali herself, I find it hard to call this a rose-scent at all. Yes, there is some rose in it, but I'm incapable of detecting the "rose with a velvety sensation", which Bekkali promised in an interview. I smell a huge amount of cardamom, cumin and cinnamon. In an impossible attempt to soften those spices, frankincense, sandalwood, tonka bean and patchouli are brought into play and contribute to the bold and assertive aura of this fragrance. "Mon nom est rouge" is very opulent with the rose in the background and the precious caradom-frankincense-cumin-combo centre-stage. It carries on the grand oriental tradition of spicy, deep and intense perfumes and it is loaded with mysterious overtones. Piquant flashes of cumin keep coming up for hours and hours, while the other association I had when wearing this scent was indeed a "metallic taste of blood" also mentioned by Bekkali. (Those who know the fragrance "Bull's Blood" from the "Imaginary Author's" series might compare those two fragrances and detect some parallels). "Mon nom est rouge" blooms best at night when your own warm blood stirs the spicy-metallic ingredients, resulting in a disturbing kind of intoxication. This stuff might add a touch of sorcery to your fragrance-wardrobe. Write the first Review for Mon nom est rouge!